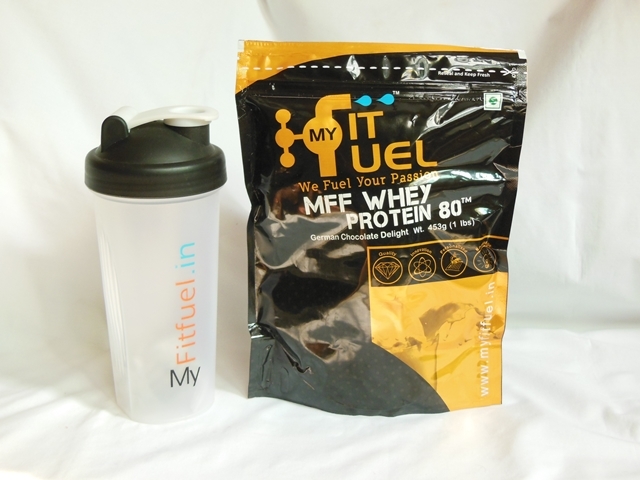 MyFitFuel MFF Whey Protein 80 is a heavy duty protein powder by the brand My Fit Fuel. This powerful product is a fantastic supplement that aids in boosting your workouts and gives you strength along with increased endurance and muscle repair. Made of high quality imported and tested instantized whey protein concentrate, this multipurpose product can be consumed as a meal replacement or a protein supplement for weight loss or weight gain. Whey is one of the two major protein found in cow’s milk (whey protein accounts 20% percent of protein found in raw milk rest 80% is casein). This product does not contain any fillers, thickeners or cheap amino acids and is very low in carbohydrates and fats which make it the perfect choice for lean muscle growth and muscle recovery. MFF Whey Protein 80™ contains high source of branched chain amino acids (BCAA’s) and Glutamic acid. These are linked to protein synthesis in our muscles and help targeted muscles by reducing the muscle breakdown, and encouraging muscle growth and repair. This also helps your body to recover quickly and build muscles more effectively. This review is actually on behalf of my significant other because he underwent a grueling physical fitness course for a month and consumed MyFitFuel MFF Whey Protein 80 on a daily basis and saw fantastic results. In spite of intense workouts for long periods of time and very little rest, he felt energized and faced no muscle pain or fatigue. This product aided him greatly during the workouts and he found it very helpful for muscle recovery too. He tried the German Chocolate flavor which is absolutely chocolaty and delicious. The product mixes in water very easily with a smooth and consistent texture. You can have it with milk for a thicker texture. Pour 200-250ml of water in a blender and add 1 scoop of MFF Whey Protein 80™. Shake it for 15-20 seconds and consume immediately. Use less liquid for a stronger and thicker shake. This is a fantastic product which provides adequate protein and nutrition in your diet. 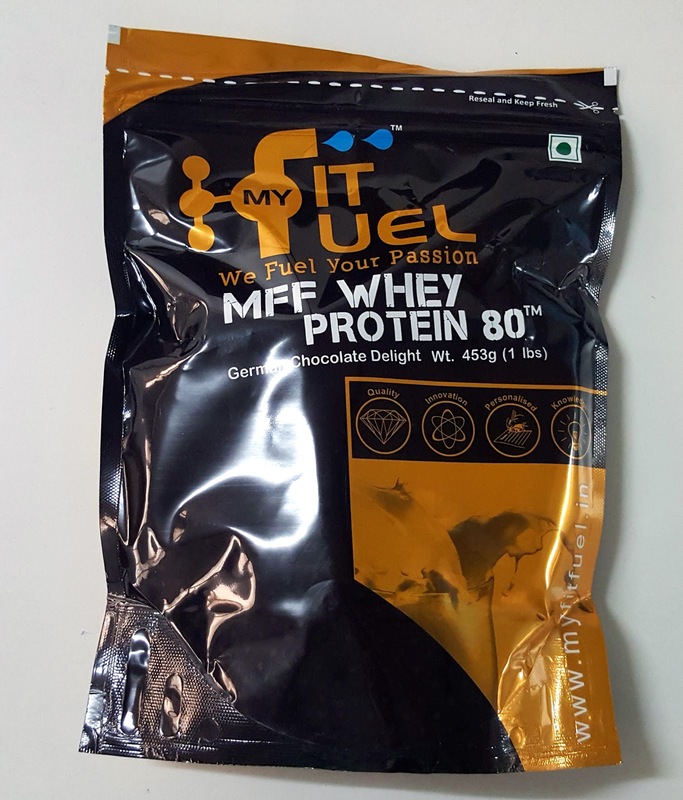 Since every scoop of MFF Whey Protein 80 contains 80% protein by volume, it is helpful for athletes, bodybuilders and sports players to repair and grow their broken muscle tissues. The remaining 20% contains Lactose, a small amount of Fats and vitamins and minerals to replenish nutrients lost during physical activity. So this combination of proteins and other nutrients helps our muscles to recover better specially post workouts and I totally recommend it to my readers. Hi, JUne! 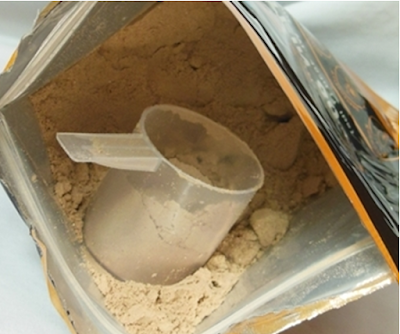 One of my brothers says that Whey protein is really good and that I should try it, because I eat nearly no protein! So, it's goo to read about it here! You always bring nice content about food and restaurants and fashion too - so nice! Hope you have a very nice week!